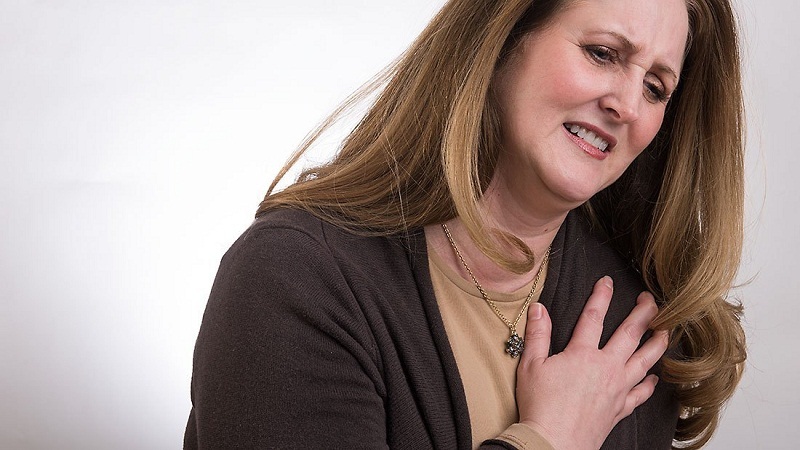 Chest pain in the middle of a very common symptom, which can occur to everyone, it occurs, as a rule, with the disease of organs located directly in the chest. It is also an echo of the disease of the abdominal organs. Such an ailment can become a symptom of diseases of the heart, lungs, esophagus or diaphragm. Let us consider each case in more detail. If such pain occurs in the thorax area, you should consult a cardiologist, or call an ambulance if the attack has already occurred. 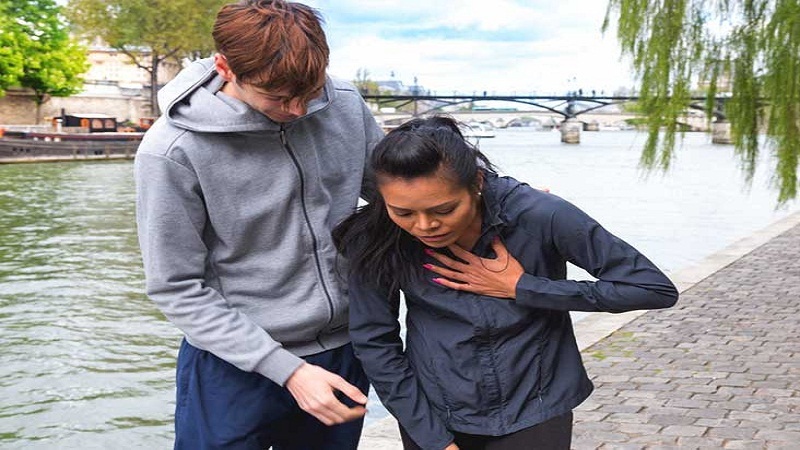 The first urgent help in such cases is the intake of nitroglycerin, which dilates the blood vessels and leads to the normalization of the patient’s condition, the pain completely passes within 5 minutes. The chest can get sick as a result of getting an injury during a fight, a fall or an accident. Strokes in the chest can lead to rupture of blood vessels or muscles, as a result of which pain can appear in the chest. Pain usually worse with a sharp and deep breath, slopes, bends, and twists of the trunk. After particularly severe injuries, malaise can be felt and when palpating with hands. In this case, there is often a fracture or a fracture of the sternum. It is necessary to contact the doctor as soon as possible, which in turn will determine the exact cause of the appearance of unpleasant painful sensations and will give you appropriate help. Why does it hurt in the chest? The above pain can also become a sign of thyroid disease. Characteristic symptoms, in this case, maybe a tumor in the neck or chest (a symptom of goiter of the thyroid gland ), a sharp change in behavior, weakness, sluggishness, rapid fatigue, a rapid increase or decrease in the weight of the patient. Pressure and body temperature, physical and mental activity may decrease. Directly on the pain in the chest affects the instability of the thoracic spine. The most basic disease is osteochondrosis. Osteochondrosis is an inflammatory process of the cartilaginous tissue of the joints. This ailment can be caused by an incorrect posture, the location of the spine in an uncomfortable posture associated with a fixed job or a sedentary lifestyle of a person. In this case, the pain in the chest is either permanent or paroxysmal. Almost always the characteristic change in pain depends on the change in the position of the patient’s body – the pain increases with the bending of the back and subsides when the person lies on a flat surface or sits, keeping his back straight. Usually, the disease does not appear immediately, it starts, like any damage to the cartilaginous tissue with pain at the beginning of the movement, which disappeared after the movement for some period of time. Many do not attach importance to these symptoms, which is wrong, the disease progresses, more unpleasant symptoms appear. Since the thoracic spine is inactive, the load on it is not large, so even the appearance of an intervertebral hernia in this area is likely to go unnoticed unless, of course, one of the numerous nerve roots is clamped. If this happens, there are quite unusual neurological pain syndromes, perhaps the most common of them is intercostal neuralgia. This pain syndrome leads to specific pains in the chest area, more precisely, in the region of the heart, giving under the left scapula. It can be so strong that it can be completely confused with a heart attack. To find out what is the true cause of pain, you can drink nitroglycerin, which will always help with real pain in the heart. It is almost impossible to relieve pain with the diseases described above. It is necessary to diagnose the cause of chest pain with the help of specialists. It is necessary to undergo roentgenography, ultrasound examination or MRI and apply long-term treatment. Even rare mild pain can lead to complications of the onset of diseases. As the well-known wisdom says, it is easier to treat a disease than a heavy one.